George was born in 1922 in Cambridge, Massachusetts and graduated from Arlington High School. George graduated from the New England Aircraft School in Boston in an accelerated program during WWII to produce aeronautical engineers. Early in his career, he was fortunate enough to have worked alongside such helicopter visionaries as Igor Sikorsky, Frank Piasecki and Charlie Kaman. George went on to have a very successful 44 year career in the aerospace industry, during which he acquired 12 patents, and retired in 1989 as Chief Engineer of Design at Kaman Aerospace in Bloomfield, CT. George held 12 patents and his rotor designs were responsible for the Circulation Control Rotor work Kaman did with the Navy in the 1970s. In addition to his 34 years ago Kaman, he also worked at Boeing Vertol, Jacobs, Bendix, Sikorsky, Piasecki Aircraft and Boeing Aircraft in Seattle. He was a member of AHS for nearly 35 years. He and his son were avid drag racers on the weekends. 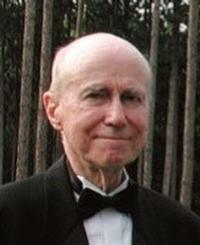 George Alfred McCoubrey passed away on September 4, 2011.